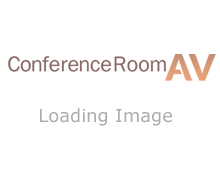 Conference Room AV provides no written or implied warranty. Warranties are provided through the manufacturer of the product purchased. To check warranty length please refer to the product page and the manual under the downloads tab, or contact us before ordering. In the case of a warranty claim, if an item is determined to be defective and under warranty it will be repaired or replaced, solely at the manufacturer’s discretion. Items returned under warranty must be accompanied by an RMA. Unless advised otherwise, all warrantied items must be returned to the manufacturer before any final warranty determination can be made. Unless advised otherwise, all warrantied items must be returned before any replacement can be shipped.